Posted 3/22/2018 10:17am by Cherry Valley Organics. According to the New York Times, roughly three-quarters of the cut flowers sold in the U.S. are grown far outside of our country's borders. Most cut flowers travel thousands of miles from South or Central America before finding their way to our dining room tables. That's a lot of precious energy spent just to move a bunch of blooms. Plus, most imported cut flower bouquets are covered with a broad diversity of synthetic pesticides and fungicides. It's certainly the dark side of the high-input, energy-gobbling cut flower industry. But, it doesn't have to be that way. There's a bright side to the story, too! Thanks to people like Allie Logue, our Grower for Herbs and Flowers, you can enjoy a bouquet of fresh cut flowers in your home completely free from guilt! By supporting small, local, organic cut flower farms like Cherry Valley Organics, you can feel good about those flowers on your dining room table, knowing that their organically grown blooms travelled just a few miles, instead of halfway around the world. Today, we'd like to tell you more about Allie Logue and her role here at the farm. Allie is our Grower for Herbs and Flowers and our Retail Sales Event Coordinator. Which means that not only does Allie grow our herbs and flowers, she's also the friendly, beautiful smile that greets you at our farmer's market table. Allie also drives our "flower truck" and delivers big buckets of our cut flowers to many local Pittsburgh flower shops. As you're about to learn, Allie's life revolves around a passion for local food and culture. She loves seeing the connection between food and human customs, history, and sociology in action, and her enthusiasm for the local food movement runs deep. This, coupled with her super-friendly personality, make Allie the perfect person to seek out for all your questions about the importance of buying local and supporting small farmers. Childhood Roots: Allie first learned about growing plants from her mom who tended herbs, flowers, and a few veggies around their home. Growing up in a small, rural Pennsylvania community where many of the houses had gardens to help feed the families living there, Allie spent summers in high school doing lawn care. She credits that job -- and her mom and dad! -- for teaching her the benefits of hard work. College Days: A career as a farmer, however, wasn't necessarily what Allie saw for herself, even just a few years ago. Allie has a B.A. in Social Science from the University of Pittsburgh, and when she joined the Masters Program in Food Studies at Chatham University a short time later, she thought she'd be spending her days examining the sociological and cultural aspects of food, not growing it. "Food is involved in every aspect of our lives, all around the world; it's an interesting lens to look at sociology through," she says. "Going from a small town to a city really opened my eyes to other people and other cultures. It was so amazing to me that someone could make a living studying other cultures and human interactions." While going to school, Allie and her partner Brian got a community garden plot in their home neighborhood of Polish Hill. "At the time, I was getting into eating healthier and understanding the food/body connection. We built a big garden at Brian's parents' house, and I started to get more and more interested in growing food. Plus, Pittsburgh's local food scene was really starting to take off and I had a really deep appreciation for that." When she heard about a job opening here at Cherry Valley Organics, she knew it would be a good fit. 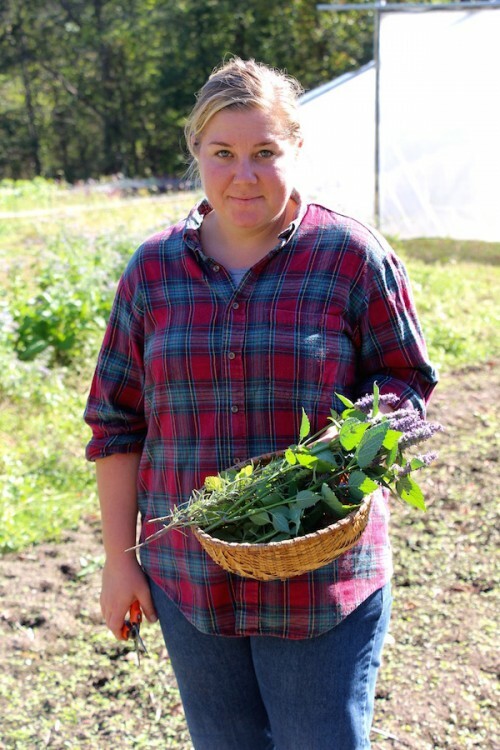 A passion for local food partnered with her favorite hobby turned Allie into a farmer. 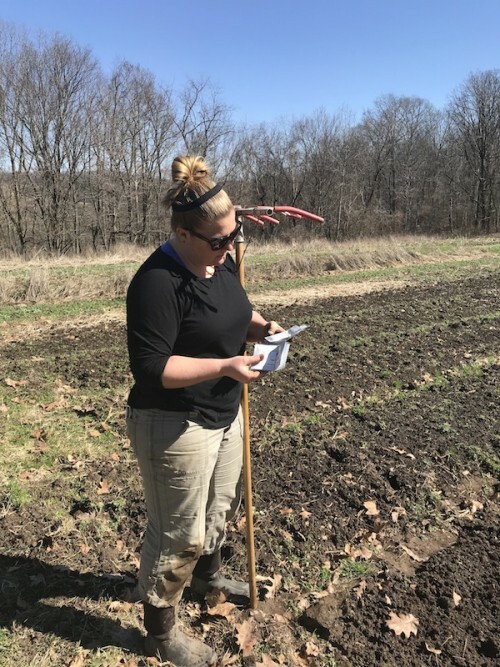 Joining the Cherry Valley Organics Family: If you ask Allie what surprises her the most about her days on the farm, she'll tell you that "Farming in general is surprising! It's a rural thing. But, I live in the city, and when I tell people I'm a farmer, they're surprised. I never thought something that I always saw as a hobby could be a career. But I'm so happy that I didn't stay in the box and took a different direction. I don't have to go to an office everyday, and I'm doing something that I genuinely care about and love." Allie's favorite part of her job as our Grower of Herbs and Flowers is the customer interaction. She loves conversing with our customers about "hot button topics," like GMOs, veganism, co-ops, no-till farming, and such. "I have so much background and education on these subjects, and it's cool to be able to talk with people who are interested in the same things. You pack up your truck and sell your stuff, but talking with people about how important small farms and businesses are to communities is really fulfilling." The Downside of Organic Farming: "If there's a downside to what I do," says Allie, "it's probably the pre-conceived notions people have about organic farmers. People think I'm judgy just because I work on a certified organic farm. But hey, sometimes I drink Mountain Dew just like you do! The stigma of organic farms and organic farmers being somehow 'perfect' is tough sometimes. You don't have to be all-in with organics; you do what you can. That one choice you're making to buy even just a single local product is a step in the right direction. You don't have to do it all. People sometimes think organics isn't for them because they have some image of pretention with organics, but it's not like that at all. It's a personal goal of mine to send that message to our customers. We're accessible. We all struggle to make better choices. Myself included." 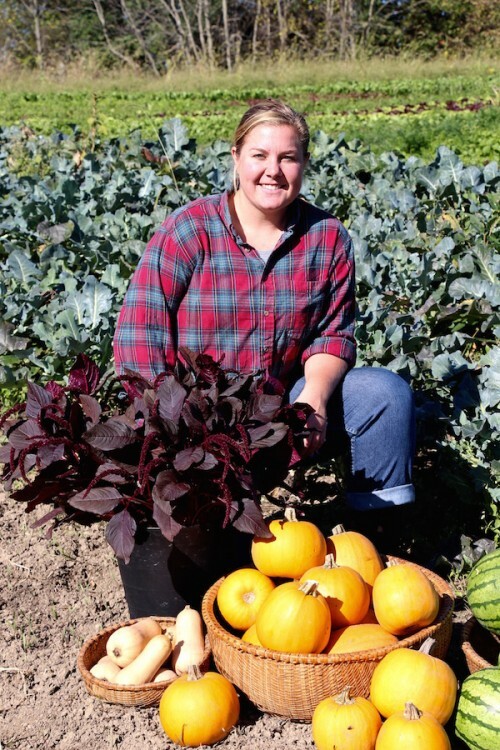 Allie's Thoughts on Being a Farmer: Allie is beyond proud to bring our customers high-quality, organic herbs, flowers, and vegetables and values the role small farms play in the local food system. As the face of Cherry Valley Organics at the farmer's market, Allie loves getting to know our customers and learning about their lives. "Interacting with people and getting feedback from them is what makes my job so great. I think about our customers and our CSA community a lot. It's more than just providing them with healthy foods. It's a livelihood for us and a bigger picture of sustainable farming in general. It's an important choice. Yes, you might be spending a dollar more on something when you buy from a small farmer, but you're spending it wisely because it stays in the community and it supports real people, not some big corporation." But it's also important for Allie to keep it real, too. Farming is hard work, but she's not afraid of it. "I don't wake up bright-eyed and bushy-tailed every morning, that's for sure. But I know what I do makes an impact and means something. Not just to me and my fellow growers, but also to our customers and the greater community. I'm growing and selling something I believe in. I'm doing a job I believe in and I feel really good about everything we sell to people. I'm not selling junk food, I'm selling wellness." 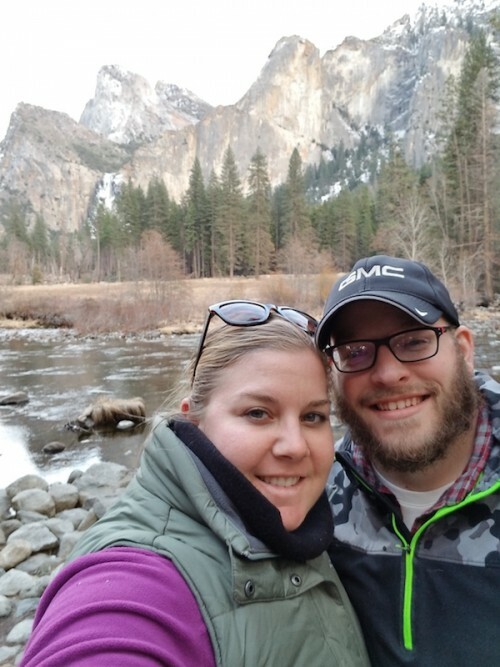 In her spare time, Allie enjoys traveling with her partner Brian, hiking, cooking, and scoring great finds at thrift stores. We hope you enjoyed this little glimpse into Farmer Allie's background and motivations. If you'd like to have a bouquet of Cherry Valley Organics' flowers on your dining room table every week, subscribe to our Bouquet Subscription Service for the coming season by clicking here. 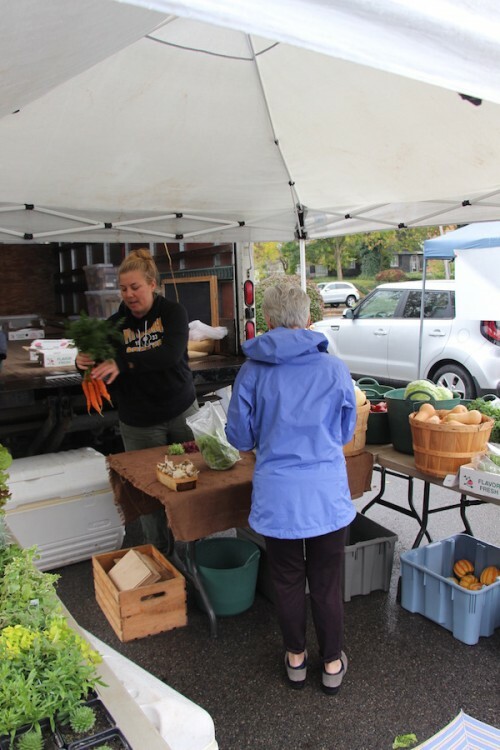 Or, if you'd like to chat about your own passion for food, stop by and see Allie every Saturday morning at the Sewickley Farmer's Market from May through November.